When it comes to surviving at what may be a life and death situation, what kind of survival mindset will you need to process to come out of it on a positive note? Your physical needs will be the first thing you would want to consider for physical survival because it would be hard to survive without them. Things such as food, water, shelter, and air to breathe are must have survival requirements. However, physical fitness is also an item on the physical need side and I will discuss that later in this post. We will first go over the mental skills of the survival mindset because I believe it is the most important side of the equation. Your psychological reactions to the stress that you will face will often cloud your thoughts on utilizing all the available resources that are at your disposal. You may have your physical needs and your physical fitness, however, if you are not prepared mentally, you might find yourself failing in your survival mode. Regardless of whether it is a severe hurricane or the dreaded zombie apocalypse, we all know the need for a superior physical attribute in both fitness and supplies. It is true that too many focus their attention on the bullets, beans, and band-aids and neglect the physical fitness side of survival. Being in great physical shape by being able to perform admirably on demanding exercises will no doubt help you in a survival situation and help your chances. Also being supplied with all your weapons, equipment, survival gear, and food will definitely give you an edge on those who are unskilled and who did not prep properly. However, all that preparation, all that ‘stuff’ and your great physical shape will only get you off to a good start. The idea is to finish the race alive and well. Could you survive without the stuff? Could you adapt to a situation you did not train for or anticipate? Could you overcome an injury or illness? If not, you need to start considering how mentally and psychologically prepared you are for a disaster situation. An unexpected crisis can come upon you on the most inopportune time capturing you completely by surprise and one in which you have not thought about, much less prepared for. All of your so-called preps will go to waste if your mind isn’t ready to go into survival mode. Many times throughout the world have found that survivors of extreme crisis situations have attributed their own mental fortitude for the reason they got through their particular ordeal. In those types of survival stories, it is without a doubt that the sheer willpower of those survivors was the number one reason that they would have survived many situations no matter how high the odds were against them. So keep this in mind that what goes on ‘between your ears’ may be more important than just the beans, bullets, and band-aid mentality when it comes to surviving that unforeseen crisis. In all likely hood, you will not be able to test yourself until all hell breaks loose. 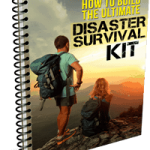 However, due to the fact you are reading at this moment about solutions for your survival mindset, you are prepping for a better outcome when disaster strikes. I will now go over some of those mindset solutions that you may incorporate to start supporting your mindset priorities. A solution you should definitely get into your head is learning the importance of adaptability in any survival scenario that you may face in your place of existence. (know the risks of where you are and where you live). You never really know what’s going to happen when the crisis is right on top of you doubling the importance of knowing your surroundings and how to adjust. Your skills will be put to the test so you must be able to use your current environment to your advantage. This is one of the more important parts of surviving any life-threatening situation. The majority of people who survive an extreme situation do so with the positive attitude that they can overcome the odds and live to see another day to tell their grandkids about. This is made difficult when you are stranded alone without anything or anyone to help you, as is often the case in survival situations. It can be a lonely world at times. However, you must accept that your life is in your hands and you must overcome any negativity holding you back from continuing forward. And if you are not alone, you have got to think also of those with you and how they might be counting on you. Such as tour kids. Thinking of friends and family back home if you are not with them, singing familiar songs around a campfire, or anything else that will lift your spirits can help your chances of making it through the night and surviving another day. 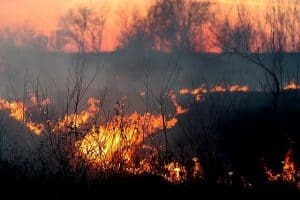 Depending on the length or scale of the disaster, you could find yourself in a survival situation for an extended period of time. more than you ever imagined. It can be easy to become overwhelmed in such instances, many people can lose their ability to prioritize when faced with choices of what to do to survive. 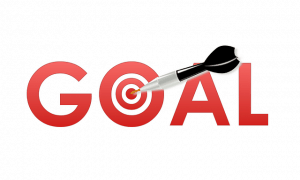 To avoid this trap, set attainable goals that can be met with broken down and easy-to-accomplish steps. Even if this means doing mundane tasks like stoking the fire or periodically scanning the horizon or skies for signs of rescue, you should always do something to keep your mind occupied and fixed on a larger goal. If you think sequentially and follow a routine, you’re much more likely to make progress, stay on track and take the necessary measures to get out alive. In order to survive a disaster situation, you have to have equal parts physical and mental stamina. But your mind will only be able to keep up with your body with a strong resolve. This means coming up with solutions to everyday problems and setting a course of action to survive long-term. After all, survival is all about moving forward, never giving up and not calling it quits – that’s a death sentence. Obstacles and challenges are inevitable in any survival situation and will require persistence and determination to overcome. Whether it is your exercise routine, eating habits or any other challenge, start strengthening your resolve and learning how to push yourself. Giving up is not an option when all hell breaks loose. Fear is a natural human reaction when faced with a life-threatening survival situation. Quite simply, any time we’re out of our comfort zones we will most likely and quite often be driven by fear. Unfortunately, there’s no telling what will trigger a fear response or anxiety attack in a person or how they will react to a situation. Only you know what brings about fear and anxiety for you, leaving it up to you to learn how to recognize the onset and control your response to a situation. When all hell breaks loose, panic is not an option. You must have all of your faculties in check in order to make logical decisions that will ensure your survival. 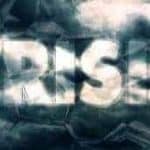 Though no means comprehensive, the mental attributes above can give you a distinct advantage when it comes to surviving a disaster situation. The sooner you adopt these skills and start training your mind to face the worse, the better off you’ll be when all hell breaks loose and everyone else around you is stuck in panic mode. And believe me, lots of people will be in a panic mode. What goes beyond the thoughts between your ears when I talk about the ‘survival mindset’? 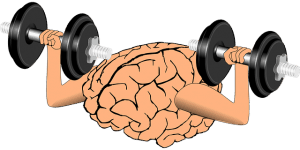 Your survival mindset should also be as one with your own personal physical fitness. Because it doesn’t matter what type of disaster you’re prepping for, there are a lot of components besides bullets, beans, and band-aids that go into being fully prepared. That is if it’s even possible to be fully prepared for anything! When all hell breaks loose and the emergency broadcast comes on, you’ll be tasked with getting everyone in your family to a designated safe area and selecting a survival plan to follow. There’s so much to take into account. 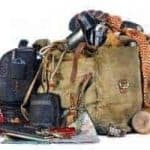 Is your bug-out bag on hand and stocked with gear? Are you equipped with a firearm, and is it loaded? If you’re bugging out, is your shelter stocked with food, water, and other gear to survive long-term? These are all important considerations that everyone must take into account while you are preparing for and immediately following a disaster. Keep in mind that using vehicles will be an unlikely luxury, and backbreaking, possible backpacking work will be an unavoidable designation. After all, survival is all about variables and overcoming adversity. Will you have to walk or run for long distances to get to safety? Will you have to maneuver your way through wanting or scared neighbors just to get out of harm’s way? Will there be obstacles blocking your path? The inevitable answer to all these questions is most likely yes, but are you physically prepared to fight or take flight for an indefinite amount of time when the time comes? 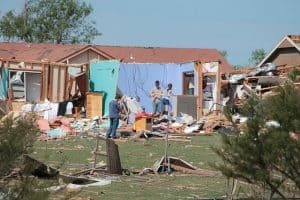 As I have already discussed somewhat in this post, fitness is an incredibly important part of surviving any disaster. It doesn’t matter if you’re prepping for a hurricane, a global pandemic or that dreaded zombie apocalypse; the importance is the same. Learning how to filter water, catch food and defend yourself will all be important skills, but they will all go to fruition if you’re not physically able to go out into the post-disaster world and put them to use. Such as after the hurricane, wildfire, or flood. Far too many preppers are resting on the laurels of their college football days or military experience. They talk the talk, they gear themselves up, and they claim they fear nothing and are prepared for anything. Yet can they perform the simple task of donning their rifles and bug-out bags and jogging nonstop for a mile? In a life or death survival situation, your knowledge and skills are only going to get you so far. Without physical fitness, you’re eventually going to have to pay the piper. All of these skills can be developed by able-bodied individuals of all ages and will serve to maximize your overall fitness and thus your potential for survival. It’s vital to undergo a continuous fitness routine that encompasses all of these needs. 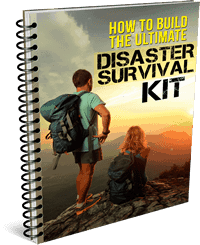 However, keep in mind that not all traditional (or modern) training programs address each of these skills in ways that will apply to your post-disaster survival demands. You need a well-rounded regimen that will serve you in the unpredictable circumstances of a post-disaster environment. Running from wildfires, swimming through floodwaters and moving piles of debris are all realistic scenarios that will demand the most out of your body. Depending on the length of the disaster, you may be reliant on your survival skills to provide for you and your family. Without access to a traditional diet or standard healthcare, your physical attributes and personal fitness may be the only tools you have to keep you alive. Regardless of the shape you’re in now, you can take measures to start getting in survival-ready shape before all hell breaks loose. All you have to do is throw the excuses out the window, lace up your boots and get out the door. Start with a 30-minute walk just to get used to stretching and moving your body, and expand from there. No matter what type of workout you’re doing, whether it’s a walk in the woods or deadlifts at the gym, never overexert yourself. And always check with a doctor before you go out and beat yourself up with a new fitness regimen. Still, always push yourself to go further and do more with each workout in order to increase your strength and stamina. As you become more fit, you can add more difficult exercises more akin to survival situations that encompass all eight of the fitness traits your life depends on. Challenge yourself by climbing hills and stairs, jumping and vaulting over obstacles and gaps, carrying packs with heavier loads, and walking or running for increased distances. The more effort you put into your personal fitness before all that hell breaks loose, the more likely you’ll be to survive when disaster strikes. It’s easy to get caught up in the cooler, flashier aspects of prepping like guns, knives, gear, and shelters. While these things are all useful, they will have no use if you’re too out of shape to get off the couch and survive the first wave of a crisis. If you’ve got the time to stockpile food and water and practice firing at the range, you’ve got the time to focus on 20 to 30 minutes each day to get yourself in shape. .Eventually your body will get used to the stress of physical activity and learn to crave more. Soon after, you’ll feel better and more confident about your ability to survive and thrive after that crisis hits you over the head. Nobody, not even a prepper such as you want a disaster to strike. So even if you’ll never need to put your fitness skills to the test in a survival situation, your health and body will thank you and be much better off in the long run. You want to dance at your grandkids wedding, don’t you?